Download Buddenbrooks: Verfall einer Familie ebook. Buddenbrooks [ˈbʊdn̩ˌbʁoːks] is a 1901 novel by Thomas Mann, chronicling the decline of a wealthy north German merchant family over the course of four generations, incidentally portraying the manner of life and mores of the Hanseatic bourgeoisie in the years from 1835 to 1877. Mann drew deeply from the history of his own family, the Mann family of Lübeck, and their milieu. It was Mann’s first novel, published in 1901 when he was twenty-six years old. With the publication of the 2nd edition in 1903, Buddenbrooks became a major literary success. The work led to a Nobel Prize in Literature for Mann in 1929; although the Nobel award generally recognises an author’s body of work, the Swedish Academy’s citation for Mann identified “his great novel Buddenbrooks” as the principal reason for his prize. Mann began writing the book in October 1897, when he was twenty-two years old. The novel was completed three years later, in July 1900, and published in October 1901. His objective was to write a novel on the conflicts between businessman and artist’s worlds, presented as a family saga, continuing in the realist tradition of such 19th-century works as Stendhal’s Le Rouge et le Noir (1830; The Red and the Black). More personally, he hoped to surpass the achievement of his eldest brother Heinrich Mann, who had met relative success with his novel In einer Familie (1894, In a Family) and who was working at the time on another novel about German bourgeois society, Im Schlaraffenland (1900, In the Land of Cockaigne). Buddenbrooks is Mann’s most enduringly popular novel, especially in Germany, where it has been cherished for its intimate portrait of 19th-century German bourgeois life. Before Buddenbrooks Mann had written only short stories, which had been collected under the title Der kleine Herr Friedemann (1898, Little Herr Friedemann). They portrayed spiritually challenged figures who struggle to find happiness in (or at the margins of) bourgeois society. Similar themes appear in the Buddenbrooks, but in a fully developed style that already reflects the mastery of narrative, subtle irony of tone, and rich character descriptions of Mann’s mature fiction. The exploration of decadence in the novel reflects the influence of Schopenhauer’s The World as Will and Representation (1818, 1844) on the young Mann. The Buddenbrooks of successive generations experience a gradual decline of their finances and family ideals, finding happiness increasingly elusive as values change and old hierarchies are challenged by Germany’s rapid industrialisation. The characters who subordinate their personal happiness to the welfare of the family firm encounter reverses, as do those who do not. 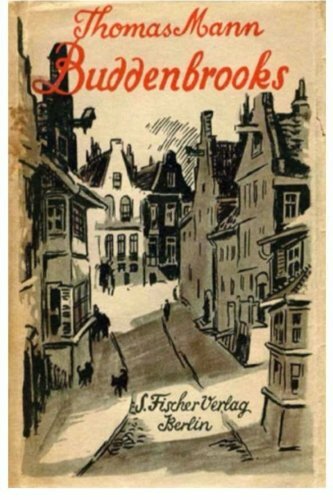 The city where the Buddenbrooks live shares so many street names and other details with Mann’s native town of Lübeck that the identification is unmistakable, although the novel makes no mention of the name. The young author was condemned for writing a scandalous, defamatory roman à clef about (supposedly) recognizable personages. Mann defended the right of a writer to use material from his own experience. German author Thomas Mann was only in his early 20’s when he began to write the brilliant novel about the decline of one of the great Hanseatic merchant families. The novel covers four generations during the establishment of the German Empire. The political development is not a main player, merely an occasional reference to illustrate the time, but adds some historical interest From 1835, at the climax of the story, the commercially astute Johann Buddenbrook leads the Buddenbrooks, a patrician familiy and rigidly controlled business dynasty. They live secure in the belief that their comforts and fortunes have been ordained by God and that their social standing is just below that of the earthly aristocracy. Events in the lives of the characters are seen by the narrator and the family members in relation to the family trade: the sense of duty and destiny accompanying it as well as the economic consequences that events bring. Through births, marriages, and deaths, the business becomes almost a fetish or a religion, especially for some characters, notably Thomas and his sister Tony. Equally destructive to the future of the family is the gradual introduction of bawdy entertainment and fine arts. Christian, second eldest son, becomes a bon vivant; Gerda, Thomas’ wife, is a gifted musician who passes her passion to the naturally talented Hanno, son and ultimate heir. But the music is a hostile force between Thomas, Gerda and Hanno. 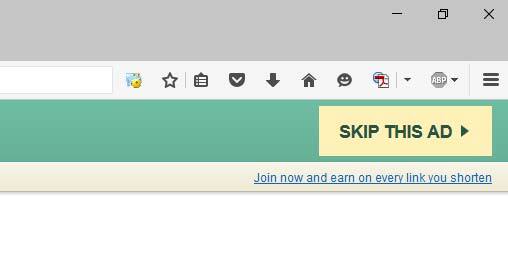 Hanno shows neither willingness nor aptitude for the mercantile world. With the untimely death of typhus-stricken grandson Hanno the Great Family Buddenbrooks becomes extinct. After a second edition in 1903, Thomas Mann received the Nobel Price for Literature. It is difficult to give an adequate review of a book of somewhere between 800 and 900 pages. But this is one of the great literary works that draws you into its plot and characters like a fine painting. Just like in a musical piece, some movements are slow, some are fast or humorous, but never fail to captivate. Paul Thomas Mann (German: [paʊ̯l toːmas man]; 6 June 1875 – 12 August 1955) was a German novelist, short story writer, social critic, philanthropist, essayist, and the 1929 Nobel Prize in Literature laureate. His highly symbolic and ironic epic novels and novellas are noted for their insight into the psychology of the artist and the intellectual. His analysis and critique of the European and German soul used modernized German and Biblical stories, as well as the ideas of Goethe, Nietzsche and Schopenhauer. Mann was a member of the Hanseatic Mann family and portrayed his family and class in his first novel, Buddenbrooks. His older brother was the radical writer Heinrich Mann and three of his six children, Erika Mann, Klaus Mann and Golo Mann, also became important German writers. When Adolf Hitler came to power in 1933, Mann fled to Switzerland. When World War II broke out in 1939, he moved to the United States, returning to Switzerland in 1952. Thomas Mann is one of the best-known exponents of the so-called Exilliteratur, literature written in German by those who opposed or fled the Hitler regime. Mann’s work influenced many future authors, including Heinrich Böll, Joseph Heller, Yukio Mishima, and Orhan Pamuk.